Lyon is an ancient Christian centre in Western Europe, in fact probably the oldest outside of Rome. Lyon was the home of the church father Irenaeus that died in the city 202 AD, and there are remains of churches here that may date back to the time when he lived. By the cathedral, you find a small open space. Here you can see ruins of what once were two churches. 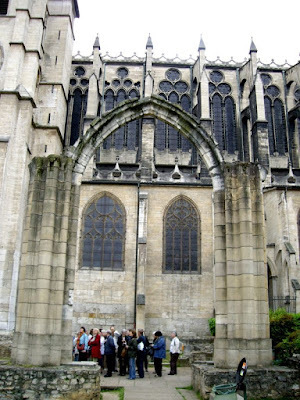 The Church of Saint Etienne and the Church of Sainte Croix once formed the episcopal complex of Lyon. The foundation of these old churches may actually be the oldest church buildings in Western Europe outside Rome. They may date back to around 170 AD. They are mentioned in the account of the persecution of the Christians in 177 AD, in which Saint Blandine was brutally murdered. 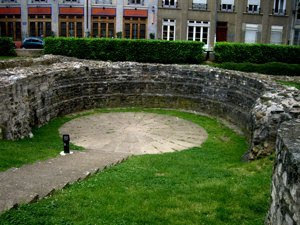 Saint Blandine was supposed to end her life as food for wild beasts at the Amphitheatre des Trois Gaules. After the beasts had refused to kill her, Roman soldiers had to do the terrible deed. In the 4th century, as the Roman settlement in Lyon was in process of abandonment the city centre was moved and concentrated to where the old city now is located, under the Fourvière Hill by the Saône river bank. 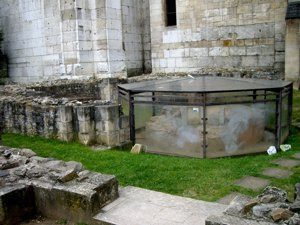 Here they built the two churches and later a 6th century church, on whose foundation the present cathedral was built. The cathedral is the only church building that survived on the site. It was finished in 1476. Still, today you can walk along ruins that predates most churches in Western Europe. Here you are by the cradle of Western European Christianity. 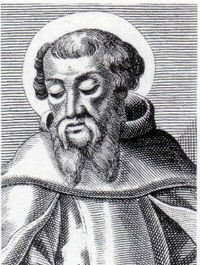 Irenaeus of Lyon played an important role in the fight against heretics within the church, particularly members of the gnostic movements. It is remarkable to visit places that played such a role in the drama that has shaped so much of the European history. Once the Christian movement was fighting to establish itself in a hostile Roman empire just here. A weak and fragile movement that were to conquer and outlive a dying classical civilization. A process that would lead to persecutions as terrible as the the ones in 177 - against the enemies of Christianity. This would happen a millennium later, close to Lyon as the Roman Catholic church declared a crusade against the Cathars in Languedoc. The history of Europe is full of paradoxes, and you may sense them in places as the little garden by the Cathedral by the Saône river.